Built of ash wood and Baltic birch plywood with a clear lacquered finish that brings out the wood's grain while protecting it, the Starlight Innovation Tri-Light III Tripod provides a solid and sturdy platform for mount heads and optics with natural vibration suppression. Its maximum payload capacity of 115 pounds, the tripod can easily carry any observational gear from binoculars to catadioptric optical tube assemblies while offering a solid base that is unaffected by wind, traffic, and footfalls. 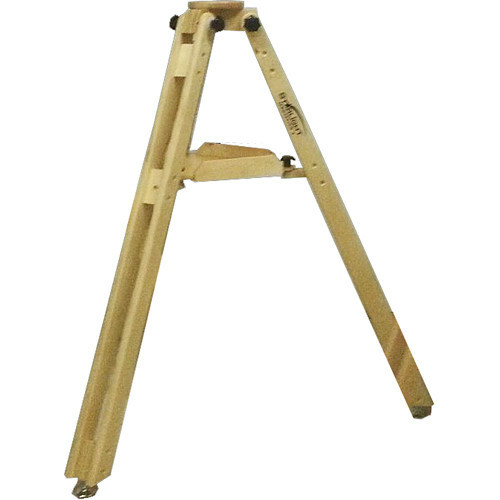 It has a fixed height of 32" that adds stability, with adjustable foot heights for precise leveling capability. The tripod is outfitted with a standard 1/4"-20 mounting bolt for heads, and a sturdy tray for accessories such as eyepieces, filters, and maps.